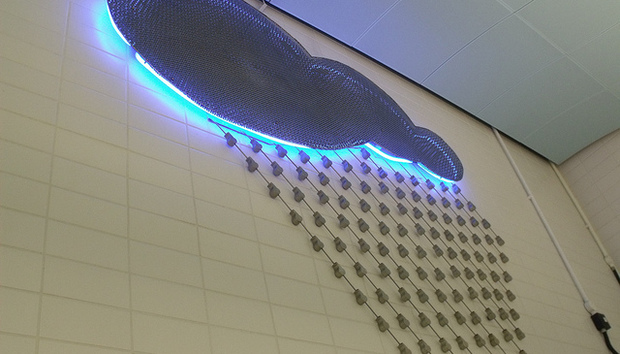 For years now, private enterprises have reaped the benefits of Cloud computing. But the advantages of the Cloud are as relevant to the public sector as they are to the private sector, and in some cases, even more so. The government is starting to concur, in part due to mounting budget pressures, but also because of the maturity of Cloud technologies especially on data security and increased demand for eGovernment services. These factors, together with the potential for added organizational agility and service efficiency, are increasingly compelling public bodies to migrate their systems to Cloud platforms. However, before it can fully embrace the beauty of Cloud computing, the government has to formulate a high-level plan to re-provision its central IT facilities and build a Cloud environment based on the three established Cloud-infrastructure service models: Software as a Service, Infrastructure as a Service, and Platform as a Service. IT systems in public sectors are usually comprised of a portfolio of sub-systems services and applications. These include core systems and services to support electronic information management, electronic trading and electronic procurement systems, as well as support for paper-less meetings. An ideal government Cloud service should entail a partnership between various software solutions providers to facilitate these varied functions and offer a cost-effective platform for departments to develop or expand their Cloud initiatives as needed. The SaaS model not only does this, but also offers extensive versatility, scalability, and high-security control of information while, at the same time, allowing the vast volume of documents and information processed by government departments to be worked on collaboratively by internal and external parties. An ideal government Cloud solution would also need to be a highly scalable one. The IaaS model would provide that scalability and, as a result, make public IT operations more cost-effective. In practice, it would allow government departments to pick and choose their packages based on their individual needs. To be fully effective, however, it would need to be supported by a system architecture that provides subscribers with state-of-the-art technology, a team of IT experts and industry-standard IT processes for hosting common eGovernment services. In public sectors that involve various departments, they are looking for a Cloud solution that can provide greater speed, flexibility and agility to the deployment processes. PaaS can be a proven model to provide a secure, reliable and cost-efficient platform for supporting common existing eGovernment applications without the hassle and cost of purchasing and maintaining the hardware and software infrastructure and provisioning hosting capabilities. It simplifies the deployment of applications, thus, making the deployment process worry-free and efficient.